Every time I call to get an appointment, they always gets me in even though they are busy. Dr. Moorhead has always been honest about the best options for my teeth. I wouldn't have anyone other than him working on me. Thank you to everyone at Flemingsburg Dental Care. I have been going to Dr. Moorhead since May 2005. Always very professional and right on time with appointments. I have always been very satisfied with each visit I have had. Would recommend Dr Moorhead highly for any dental work that you might need. Dr Moorhead is the best dentist I have seen. He is caring and considerate of his patients! Also, this dentist office does not smell like most offices do! Which is always a plus. His employees are very genuine as well! 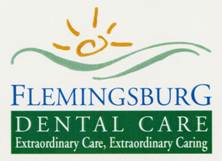 For anyone who is not that keen on dentist visits I highly recommend Flemingsburg Dental Care. They put me at ease from the moment I walked through the door. Dr. Moorhead and his staff are "Number 1" in my book. They took great care to see that I was in no pain throughout my procedure and were very professional, Dr.Moorhead himself called later in the evening to check up on me and make sure I was doing alright. I can honestly say I've never experienced that. I highly recommend them if you are in need of dental work, but are too scared to make an appointment, they also practice sedation dentistry. You won't be sorry for choosing them. I'll be going back. YOU ALL ARE GREAT! ! !